Something that I have been made more aware of is how important representation is in reading material. It's definitely come up in many conversations and I've witnessed it first hand when a reader sees someone that looks like them in a book. A month ago, my friend, Kristen Picone (@kpteach5) had a terrific string of tweets that highlighted books that spotlighted different races, traditions, cultures and people. Many of the books I'm spotlighting come from her collection. Others are some new books that I've discovered. 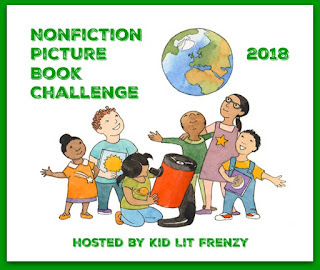 Be sure to return on Friday when I spotlight fiction picture books. When I look at my picture book biography collection it is overwhelmingly white. I've started making changes and looking at gaps, especially be aware of nations and cultures that my students come from/celebrate so I can make sure I have books that represent that. Today I'm spotlighting some picture book biographies that are about some amazing African Americans that have made a difference. 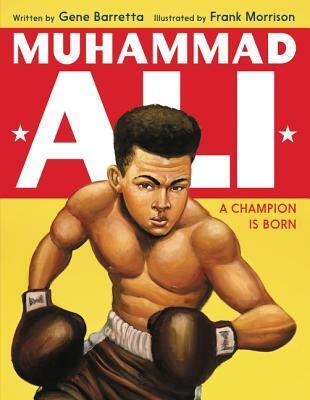 I love the way this book is organized - it starts by highlighting a few of Ali's big fights that show his prowess as a boxer, then it goes into his story explaining how his entry into the world of boxing began. Spotlighting a few of his contributions, readers understand Ali is more than just a prize-winning boxer. Gorgeous illustrations by Frank Morrison. 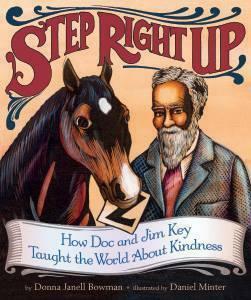 Loved this story about William "Doc" Key and how he showed kindness during a time that didn't always show kindness to him. Again, not a story I had ever heard before, but it's one I want to share over and over to students. I always love finding stories about people who did some pretty amazing things that I had not heard of before. 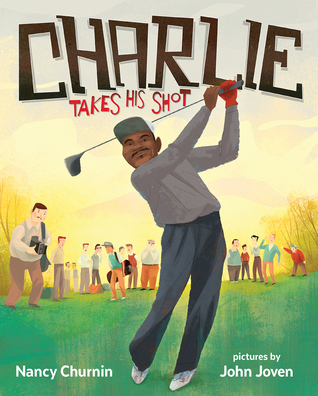 Charlie Sifford broke the color barrier in the PGA - with some help and experience from his friend, Jackie Robinson. I like that this story features the game of golf - I don't have too many books with that sport as the focus. Be sure to visit Nancy's website and check out the teaching guide for this book (and all of her fantastic books!). I absolutely love reading about Katherine Johnson - I'm glad to see the spotlight turn on this brave, smart women. 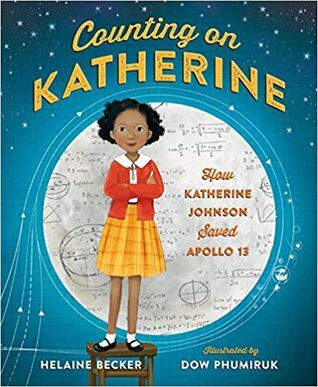 I think it's great that young readers get to read about this math and science-smart women who also had to persevere because of the race barriers that were in front of her. I had not read as much about her work with Apollo 13 so I was glad to learn more about that! I am so excited to have 2 biographies about these amazing athletes published around the same time. We need students reading and integrating information from multiple texts and sources. Having multiple picture book biographies is appropriate for elementary level readers. While both books concentrated on similar aspects of their lives (growing up, how they entered the sport, championships won, hardships faced) each had information the other did not. In this day and age, it is so important to provide additional information in the backmatter. We talk about showing sources, backing up facts, etc. with students. I was saddened to see no backmatter in the Bryant biography. The Ransome collaboration has an afterword, source notes and selected bibiography. I hope you get a chance to add some of these books to your collections. I think they are all important to have and share! This is such a fantastic list! I've been trying to diversify my picture book biography collection, too, so posts like this are super helpful. Great list, Michele. I haven't read any of them! I love seeing about the Serena & Vanessa books, the one about Katherine Johnson, wonderful stories, I'm sure. Thanks! I LOVED Donna's book--it is so moving! 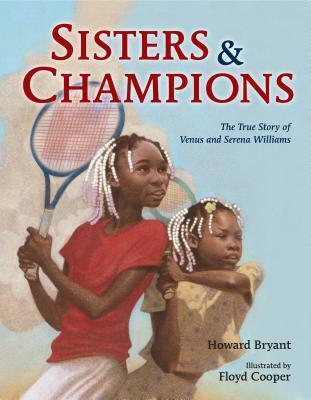 I'm looking forward to both books on the Williams' sisters. 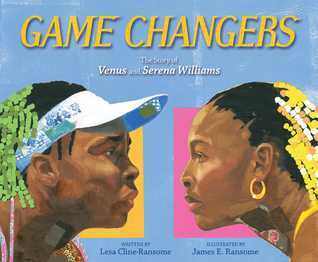 James Rassome was a keynote speaker at a recent SCBWI meeting and showed some of his illustrations for Game Changers--just lovely!